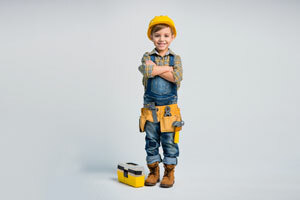 Believe it or not, a tool belt can greatly increase your ability to do your job. Let’s face it, hanging drywall is no easy task. Drywall sheets are often heavy and difficult to install, particularly if you are working on your own rather than with a team. While hanging drywall, you may feel as though you need as many free hands as possible. 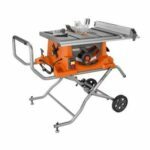 If you have to fumble around for the different tools you need for the job, it can make the task of hanging drywall even more tedious. Fortunately, a tool belt can change all of that. 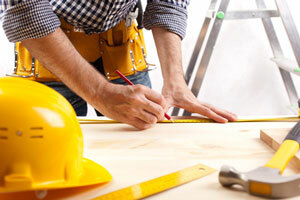 Drywall installation and any other laborious task becomes far easier as you work harmoniously with your tool belt. You can work faster and more efficiently as you effortlessly and intuitively reach for the tool you need while keeping your eyes on the job. Since you can organize your tools using a tool belt, you learn where they are, which allows you to instinctually reach for the one you need when you need it. Of course, with so many tool belts to choose from, how will you ever pick which one is right for you? 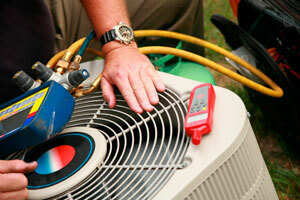 The in-depth review guide below can help you narrow down your options to make your purchase decision an easier one. 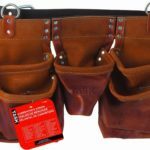 The Custom Leathercraft Suede Nail and Tool Bag is the smallest tool belt on this list by far. 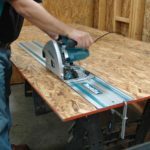 Although it might not be ideal for larger drywall jobs, it certainly does the trick if you need to tackle smaller jobs. 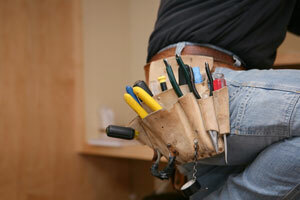 For instance, you would not want some large, bulky tool belt if you are simply patching a section of drywall. Therefore, this tool belt can work wonders for some of the fast, easy jobs. The majority of complains seem to be with the belt itself rather than the bags. While there are those that agree that the bags will likely hold up, they feel that the belt will not. Therefore, you may want to invest in a better quality belt later on down the road should you choose to purchase this tool belt. Other than that, it would appear that customers seem satisfied with this tool belt, especially considering its incredible price point. The Custom Leathercraft Heavy Duty Suede Apron is a great choice for drywall professionals, particularly because it has so many different options to choose from. It is also available at a great price point. 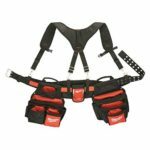 Keep in mind that the price of this tool belt will vary based on the options you choose. 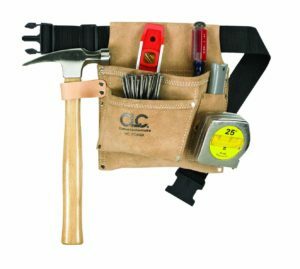 Options for this tool belt include a quick release buckle, a 2-inch polyweb buckle, an interlocking buckle, or a 2-inch leather reinforced roller buckle. CLC, the company that offers you this particular belt, stands firmly by their product with a rather straightforward philosophy. Rather than providing anything fancy, they keep it simple, durable, and reasonably priced. It is not hard to see why this tool belt has a 4.4 out of a 5-star rating. Satisfied customers have left plenty of positive reviews. One customer said, “Great tool belt. Durable! Very good buy!” Another simply said, “Excellent product for the money.” Some of the drawbacks and negative reviews seem to center around longevity. A handful of customers felt the pouches wore out too easily and too quickly. Otherwise, most purchasers agreed that this tool belt was worth buying. For a drywaller, this may be the best drywall tool belt. The Bucket Boss Duckwear SuperWaist Apron is a great choice if you are looking for something to make drywall installation a cinch. Although this tool belt is not very large, it does not need to be. A larger tool belt might prove too bulky when you are trying to hang drywall. Tools often used to hang drywall include a putty knife, drywall screws, and a drywall hammer, all of which fit perfectly in this tool belt. Some customers reported that the apron lacked durability. Other said that the placement of the pockets needed improvement. Otherwise, it would appear that the majority of purchasers seem relatively pleased with this particular tool belt. If you’re looking for something basic and that won’t break the bank, this may be the best drywall tool belt. 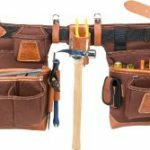 Each of the tool belts mentioned above can work great for drywall experts like you, especially if you are in the market for something smaller and more affordable. Make sure you choose the tool belt that works best for you based on the tools you carry with you daily. 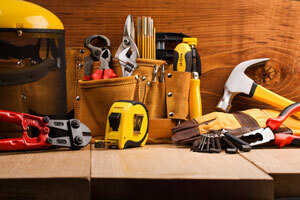 If you carry larger, heavier tools, you may want to opt for the largest tool belt on this list. If you find yourself doing smaller drywall jobs, a smaller tool belt will work just as well.